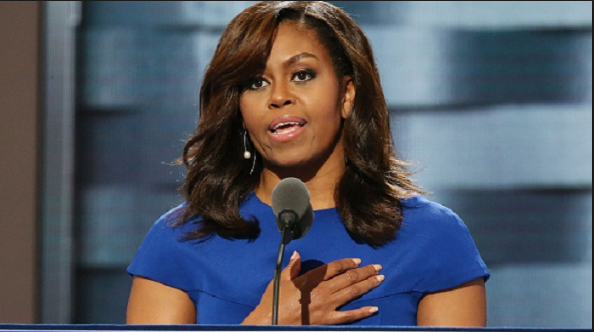 American First Lady, Michelle Obama, pictured here at the 2016 Democratic convention, where she gave a magnificent speech, needs no introduction (a luxury most of us don’t have). In all cases, I knew them to be stating the truth. And because a part of what Informed Opinions does is remind women of the importance of owning their expertise, I salute their confident assertions. “Shouldn’t you leave it to others to publicly celebrate your brilliance?” is a common, if unspoken, response. And of course, independent endorsements are generally more persuasive. … gives you an opportunity to talk about impact by invoking the success of others. Earlier this year, a client introduced me to her colleagues at the start of a workshop she’d hired me to deliver. With the best of intentions, she described me as “one of Canada’s most influential speakers.” I cringed at her vague and indefensible hyperbole, which seemed much worse than no introduction at all. However, I frequently speak in contexts where a formal introduction isn’t on the agenda, so I’ve had lots of practice sharing my credentials without the benefit of an effective host. This is a valuable tool whenever you’re at the front of the room. You don’t want to feel dependent on, or sidelined by, an absent, harried or inexperienced person who may constitute an audience’s first impression of your qualifications. The work you do gets results. A story I frequently tell at my own expense allows me not only to achieve the first three goals, in under a minute, but also to bridge to content that demonstrates number four. And the thing about stories (more on this in a future blog post) is that they’re better at triggering emotional response, and — as a result — much more memorable than data. Having a small repository of personal stories that allow you to make passing reference to your years in the field, a catastrophe averted, or a lesson learned is enormously valuable. But it’s also important to craft such stories so that the impact you describe focuses less on recognition you may have received, and more on how your organization or the people it serves benefited. Such an approach then allows you to segue back to the people in the room, what you’re aiming to achieve together, and how your experience and insight can help them. After the unfortunate introduction described above, I managed to win over the room, but it took some effort. One alpha male participant seemed committed to debating me on every second point – often taking the discussion down unproductive rabbit holes. Because he had a leadership position within the group, I had to handle this carefully. He may have been difficult, regardless of how I was introduced, but the experience reminded me of what a difference it can make when the host presenting you inadvertently undermines your credibility. How to craft stories to engage listeners, deliver memorable content and convey your authority. In the meantime, if you have any communication dilemmas or presentation questions that you’d like to see addressed in future posts, let us know.